The Western powers, particularly America, their intellectual and political agents continuously claim before the Muslim Ummah that no system is better than Democracy, because it governs according to the wishes of the people. They claim that it is the only system through which the rights of the people can be protected and rulers can be accounted. However, after the approval of the Twenty First constitutional amendment by Pakistan’s parliament, which provides for military courts that were subsequently endorsed by the Supreme Court, it is clear that Democracy has failed. Democracy rapidly abandons its much trumpeted democratic norms and principles under extraordinary situations. Democracy strips people’s basic rights without hesitation and starts imposing military solutions for political problems. Whether it’s the biggest democracy of the world, India, or the mother of democracy, Britain, or the global standard bearer of democracy, America, all democracies make black laws to erase the rights of the people, like the Prevention of Terrorism Act, the Anti-Terrorism, Crime and Security Act 2001 and the USA Patriot Act respectively. 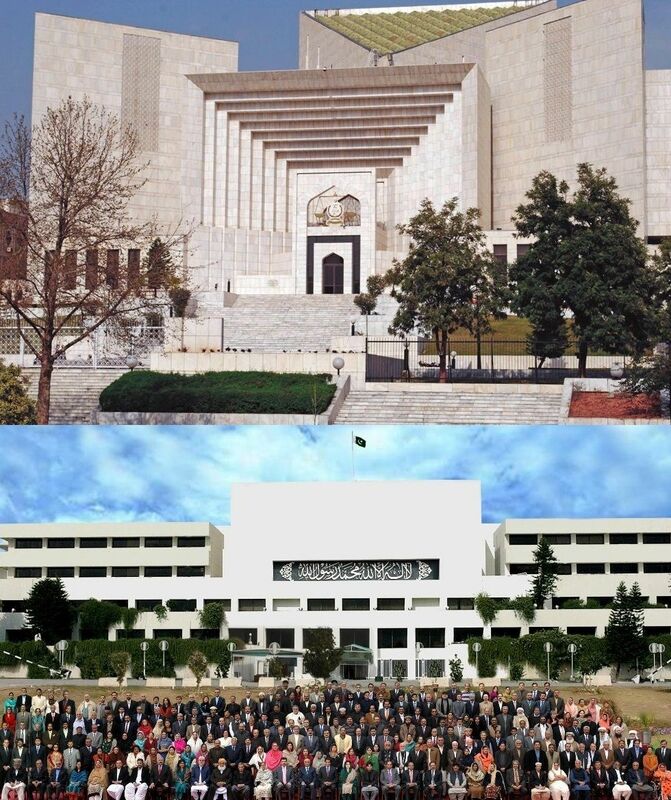 Democracy not only erases the basic rights of the people, it handicaps the judiciary from being a check and balance on the executive, exposing the claim of “independent judiciary,” preventing justice and accountability of rulers. The Twenty First constitutional amendment is a crucial part of the National Action Plan, which is actually an “American Action Plan.” The plan is to forcibly suppress the call of Islam by persecuting those people who call for the implementation of Islam. Sincere politicians striving for the implementation of the Islamic system are arrested and thrown into prisons under the Protection of Pakistan Act. As for those sincere tribal Muslims who wage Jihad against the American occupation forces, they are either being eliminated by military operations, or are to be prosecuted by military courts. In order to implement the American agenda and its ensuing dirty work, these traitors are now taking cover of fighting a so-called war against terrorism and extremism. As far as bringing those people to justice who are involved in anti-state activities, killing citizens and sowing discord between Muslims on sectarian or ethnic grounds, there is no need of such black laws or military courts. All that is required is a state that has sincerity and seriousness in purpose, because every aware person knows that the rulers and their security agency thugs themselves provide protection for the actual mischief makers, such as the American spy and assassin Raymond Davis. Democracy can neither provide justice to the people nor protect their rights because in Democracy, rulers can use any incident to make black laws contradicting Democracy’s basic principles to serve their own personal interests or those of their colonialist masters. The Khilafah is the only system where the ruler cannot manipulate legislation to achieve vested interests, because the law of the Khilafah state is firmly rooted in the Quran and Sunnah, rather than elastic principles such as extraordinary situation or national interest. Similarly, the judiciary in the Khilafah is mandated to deliver verdicts based on the Quran and Sunnah exclusively. So this makes Khilafah the only system that releases the judiciary from executive pressure in a real sense, enabling it to protect the rights of the people and account the rulers. "پس ان کے درمیان اللہ تعالیٰ کے نازل کردہ (احکامات) کے مطابق فیصلہ کریں اور جو حق آپ کے پاس آیا ہے اس کے مقابلے میں ان کی خواہشات کی پیروی نہ کریں"